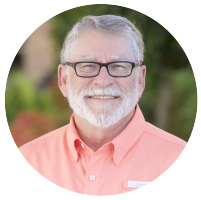 Dr. Lyles has been the Senior Pastor at South Main since August of 1981. He was born in Decatur, Texas, and grew up in a Christian home, living in north-central and east Texas during those years. His father served Jesus for more than 50 years in Christian ministry. 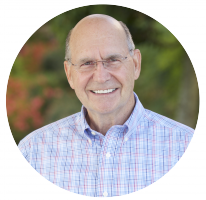 Dr. Lyles accepted Jesus when he was six and responded to God’s call to ministry at twelve. He was ordained at age 20 when he was called to become the Pastor of Brookston Baptist Church during his junior year in college. He has been a pastor since 1971 serving four churches. Dr. Lyles is a graduate of Dallas Baptist University. During his time at DBU, he met and married Brenda Kabler from Wichita, Kansas. Brenda is a retired educator at Deer Park ISD. She served as the High School Special Education Department Chair, the Coordinator of a Job Skills program for physically, mentally, and emotionally challenged persons, a program that she began 30 years ago, and a Transition Specialist. She also was instrumental in beginning our L.I.F.E. class (Learning Is For Everyone) - a Sunday School class for persons with special needs. Dr. Lyles holds two degrees from Southwestern Baptist Theological Seminary: the Masters of Divinity and Doctorate of Philosophy degrees (Old Testament). In addition to his pastoral responsibilities, he enjoys teaching Old Testament and Preaching courses for Logsdon Seminary in Corpus Christi, writing Bible study materials for BaptistWay Press, and relaxing by the pool. He is also an avid sports fan, especially enjoying his trips to the NCAA Final Four during March Madness. Dr. Lyles and Brenda have four children and nine grandchildren. Dr. Tim Lyles serves the Southland Baptist Church of San Angelo, Texas, as the Minister of Music. A graduate of Truett Seminary, he and Lindy have three children, Lexi, Courtney, and Carter. Ronda is a speech pathologist and lives in Pearland with her husband Robert Cooper and their daughters, Brendli and Corynn. Philip is an FFA teacher in New Caney. He and his wife Brooke have one daughter, Lainey. Clif is a history teacher and basketball coach for Clear Falls High School. He and his wife Charity have three daughters, Madison, Alivia, and Allie. Two of his children and families are actively involved members of South Main. Dr. Lyles has been a member of the Pasadena Rotary Club since 1982. In 1993 Dr. Lyles was honored by being named the Pasadena Minister of the Year, and in 2006 he was recognized by the Chamber of Commerce as the Citizen of the Year for Pasadena. Beyond South Main, he has also served Texas Baptists in a number of key positions. Bobie Miller has served at South Main since January of 1982. He holds a Bachelors Degree in Music Education from Texas Tech University, a Masters in Religious Education from Southwestern Seminary, and a Masters in Choral Conducting from the University of Houston. Bobie and his wife, Kathy, were married in 1972 and Kathy worked teaching young children for 31 years before retiring. Both Bobie and Kathy have West Texas roots growing up in the rural communities of Sundown and Smyer, Texas. The Millers have no children but have shared their love, encouragement, and laughter with the many children who have been raised at South Main. They also have a love of pets, especially toy poodles. Bobie trusted Christ as a 19-year-old college student and felt a calling to ministry shortly after conversion. Bobie was licensed and ordained at the First Baptist Church of Grandview where he served with Dr. Lyles during his seminary days. Bobie states that God continues to be his source of encouragement and joy and that his life of ministry has been a blessing he enjoys every day. To God be the Glory! Kelley Trimble has been a member of South Main Baptist Church since 1993 and joined our Ministry Leadership Team as Executive Administrator in 2008. 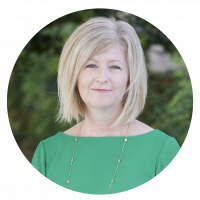 Since that time, Kelley has been active in the National Association of Church Business Administrators and has served several terms as an officer in the local Houston Metro Chapter. Kelley has previous work experience in construction and healthcare. She has work management oversight of the Ministry Assistants and supports Dr. Lyles in his work. 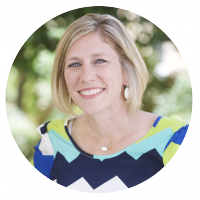 She coordinates and directs the work of the Custodial Staff, Food Service Ministry, and Facility Management personnel while performing the business administration responsibilities of the church. Kelley received Christ as her personal Savior at a young age at Park Place Baptist Church in Houston. Kelley enjoys gardening, baking, organizing, and being creative. She especially loves spending time with family and friends, but she most of all loves dates with her grandson, Beckham. Bill McMillin grew up in Pasadena, Texas. He was saved at the age of seven and is a charter member of South Main Baptist Church. He has served South Main as bi-vocational Minister of Missions since February of 1985. He and his wife, Lydia, have two children and five grandchildren. Bill and Lydia own McMillin Agency, Inc. He attended Southwestern Seminary. Bill believes he is called by God to reach people for Christ outside the walls of the traditional church. 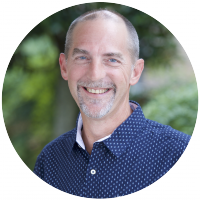 Jeff Fuqua joined the SMBC staff in May of 2015 as our Minister of Education. He has a passion for stepping out beyond the church facility to physically meet the needs of the community through ongoing projects including Texas Baptist Men Disaster Relief and Rebuild efforts. It is his desire to see South Main continue to increase the church membership’s involvement in ministry. Jeff and his wife, Patti, both graduated from Dallas Baptist College in 1980. Patti earned her Master of Education degree from East Texas State University in 1985 and taught public elementary school for thirty years before retiring in 2010. She has served vocationally as a pianist, organist, and/or keyboardist in Baptist Churches since the 1970s, and is currently involved in South Main's music ministry. Jeff received his Master of Arts in Religious Education from Southwestern Baptist Theological Seminary in 1990. 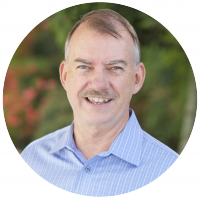 He has been a consultant for both associational and state groups in Texas. Jeff and Patti have two adult children who are married and both have children, giving them five grandchildren, all girls, who keep them quite busy. Tico Montoya grew up an hour and a half north of Houston in Bryan, Texas. He graduated from Houston Baptist University with a degree in Christianity and Kinesiology. While attending Houston Baptist University, Tico worked in the Missions Ministry at South Main Baptist Church under Bill McMillin. 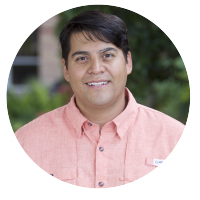 Tico graduated from Logsdon Seminary in the Spring of 2011 with a Masters of Divinity in Missions and Cross-Cultural Ministry. Tico is married to his best friend, Nicole, whom he met while working at a carwash in Bryan. Tico and Nicole have five children, Elijah, Lydia, Benjamin, Jasiel, and Jude. Tico enjoys spending time with his family, playing sports, rooting for all the Houston professional teams: Astros, Rockets, Dynamo, and Texans. He also loves watching college basketball, telling his kids corny jokes, and going out with his wife in search of the best tacos in the Houston area! Brian Sadler grew up in the Dallas area in a Christian home where he accepted Jesus Christ as his personal Lord and Savior at age 10. He graduated from Baylor University, then married his wife, Carrie, whom he grew up with at Buckner Terrace Baptist Church in Dallas. In 2003, after working a number of years at UT Southwestern Medical School, Brian surrendered full time to the ministry, feeling God's call to serve and work with students. 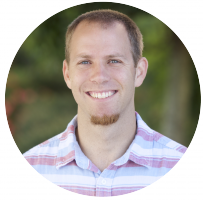 Brian has served at several churches in Texas and one in South Carolina, joining SMBC in June of 2015. He works to lead students to greater levels of spiritual maturity, discipleship, worship, and ultimately a personal relationship with Jesus Christ. Brian is an avid acoustic guitar player and enjoys leading worship and praising the Lord through music. He received his Masters of Arts in Christian Studies with an Emphasis in Pastoral Ministry from Grand Canyon Theological Seminary in September 2016. Brian and Carrie are blessed to have one daughter, Casey. They love to spend time at the beach, going to the movies, and watching sports together. Jennifer was called to be the Minister of Childhood Education at South Main in March of 2009. She grew up in a Christian home where her dad served many churches in ministry positions. When she was 8 years old, she made the personal decision to make Christ the Lord of her life and at the age of 14 surrendered her life to ministry. Jennifer met her husband, Russel, at Glorieta Baptist Conference Center where they both were teaching preschoolers during the summer. Two years later they were married at Glorieta. They approach ministry as a team and feel that this is God’s desire for their entire family. Russel and Jennifer have been blessed with three children: Aaron, Weston, and Madeline. 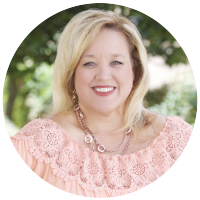 Jennifer holds a degree in Elementary Education from the University of Mary-Hardin Baylor and a master’s degree in Christian Education from Southwestern Theological Seminary. Before coming to South Main, she served as the Children’s Minister at Northlake Baptist Church in Garland, Texas for 11 years. Erin Ripley grew up in the Pasadena area and has been at South Main since she was 4 years old. She has served in many different ministries of the church and met her husband Eric who also grew up at South Main. They have been blessed with two girls Elysa and Emily. Erin holds a Bachelors degree in Education from the University of Houston Clear Lake and an Associates degree from San Jacinto College where she studied child development. She is also a Realtor at Summit Realtors in Deer Park. She accepted Jesus as her personal savior at the age of 9 and is thankful for a Christian home and a loving church family that influenced her growth in Christ over many years. Kevin Richard has served at South Main since the summer of 2009. 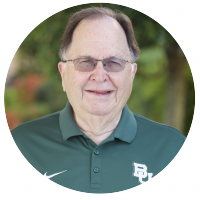 He obtained his Bachelor's degree from the University of Houston-Clear Lake in Accounting and received his Master's degree in Christian Education from Southwestern Baptist Theological Seminary in 2012. He is currently working towards a Doctorate in Educational Ministry at Southwestern. Kevin grew up at South Main and accepted Christ at the age of 7. He first felt a call to ministry when asked to lead Bible studies for a college mission trip to New York. After that trip, he enrolled in Seminary and continued working at South Main in a part-time capacity. Kevin now has the opportunity to run the Family Life Center where he spent many summers helping in camps and working with the kids. Kevin married his wonderful wife, Amy, in December of 2014. Amy has been a vital part of his ministry in the youth and Family Life Ministry. She serves alongside Kevin helping to build strong relationships with the kids and show them Christ's love. Kevin and Amy welcomed their first child, Charles, into the world June 22, 2017. They are and excited to serve at South Main as a family and work where God has called them.